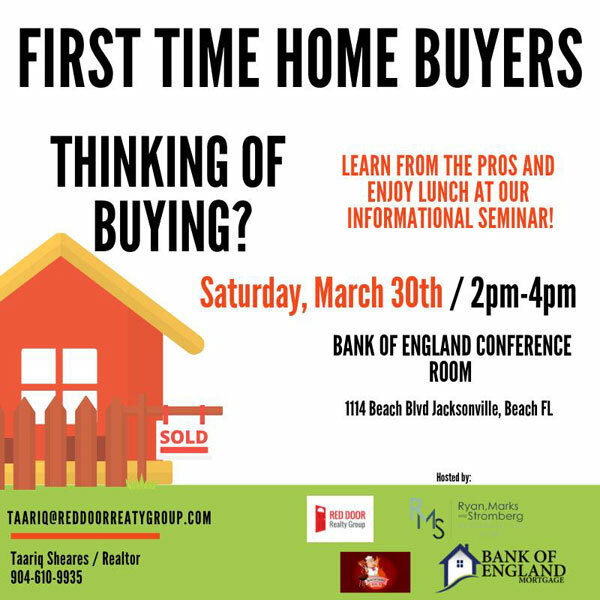 Join Red Door Realty Group in partnership with Bank of England, Ryan, Marks & Stromberg attorneys, and Backyard BBQ-R as we present to you everything you need to know before you buy your first home! Whether you have questions about home financing options, the closing process, legal tax questions or even strategies for finding and buying the perfect home, this event is for you! Lunch served by Backyard BBQ-R.